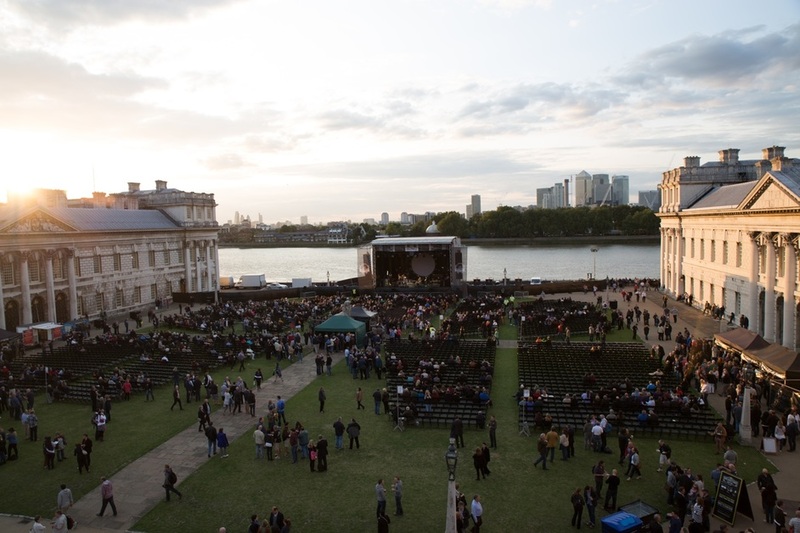 Set within the grounds of the Old Royal Naval College, Greenwich Music Time is a four-day series of al fresco concerts. For its sixth year the festival welcomes Sir Cliff Richard and Paul Weller to the magnificent surroundings of Sir Christopher Wren's twin-domed riverside masterpiece. More acts are expected to be announced for the annual seven-day music festival which is one of London's best loved summer music festivals. All concerts are held in a purpose build outdoor arena, overlooking the Thames and lit by the big city lights of Canary Wharf. Join us for the launch of Rosalind Stopps's debut novel Hello, My Name is May. What are the best dining options near Greenwich Music Time London? Greenwich Music Time gyms, sporting activities, health & beauty and fitness. The best pubs near London Greenwich Music Time. Greenwich Music Time clubs, bars, cabaret nights, casinos and interesting nightlife. Where to have your meeting, conference, exhibition, private dining or training course near Greenwich Music Time. Attractions & Museums, Guided Tour. From cheap budget places to stay to luxury 5 star suites see our discounts for Old Royal Naval College hotels, including DoubleTree by Hilton London - Greenwich from 87% off.